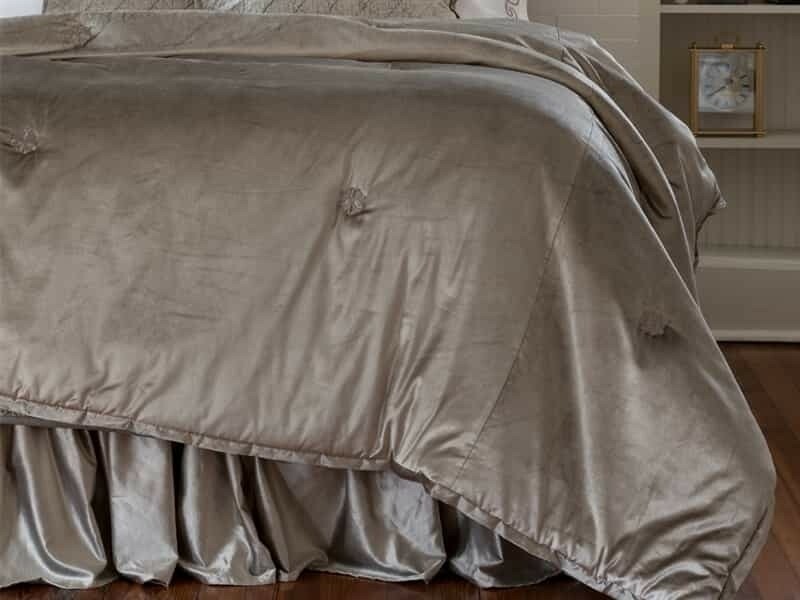 Chloe King Padded Comfortlet (112x98) is made of Fawn Velvet with a Non-Woven Fill and has a 1" Velvet Flange. No duvet insert is needed. Machine Washable. Imported.